***Seder - GREATEST EDUCATIONAL PROGRAM EVER! 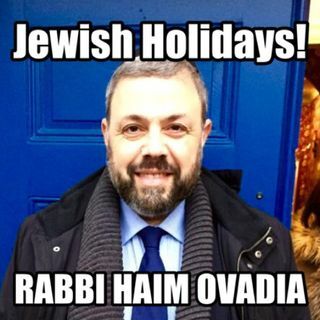 פסח סדר | Jewish Holidays Explained! What is the Seder all about? Why is it the greatest educational tool ever? There are so many lessons we learn and teach at the Seder. It has become the most widely celebrated holiday for Jews today. Over 90% of Jews participate in a Seder, even if they have little to no connection all year round. It's a time for family, friends, and communities to gather around and remember the suffering of our past, understanding Jewish identity, and being taken from slavery into freedom. The lessons ... See More are endless. It's one of the most multi-faceted educational guide we have today. In one evening, we touch on the true essence of being a Jew. Enjoy!